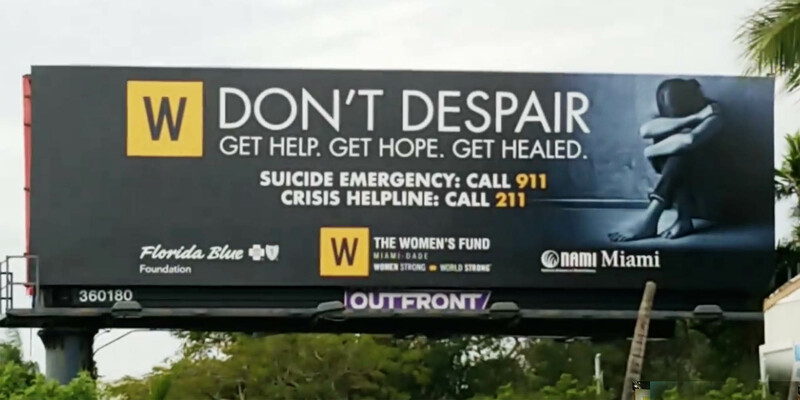 Starting in October of 2018 The Women’s Fund Miami-Dade launched a public awareness and helpline campaign to reach directly into our community with messages of hope and connection to vital resources. 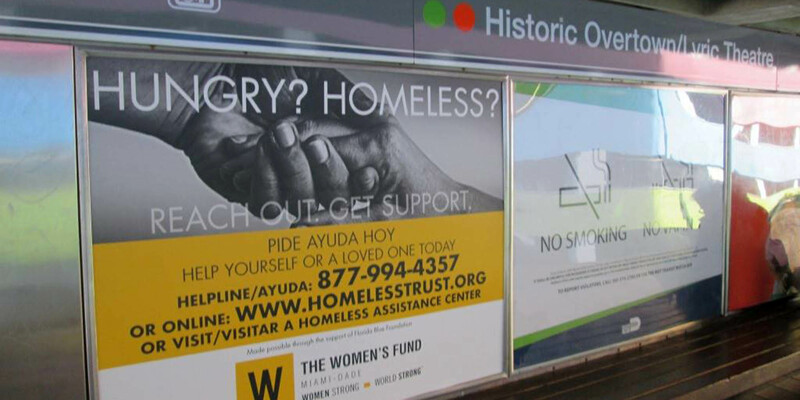 Since then, we have worked with our outdoor marketing partners to place these messages in front of the public through roadside billboards, bus-shelter posters, transit platform billboards, wrapped buses, interior metro rail, and mass-transit media placements, as well as digital cell phone ads. 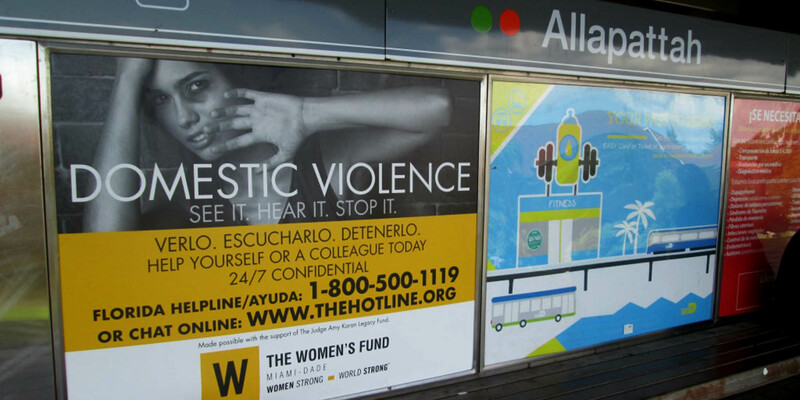 We need your help to continue to fund this critical public awareness and helpline campaign. Your participation and sponsorship will be acknowledged through prominent placement of your organization logo, significant public visibility, and the knowledge that you are helping those in need by putting them directly in touch with effective, immediate resources and assistance. 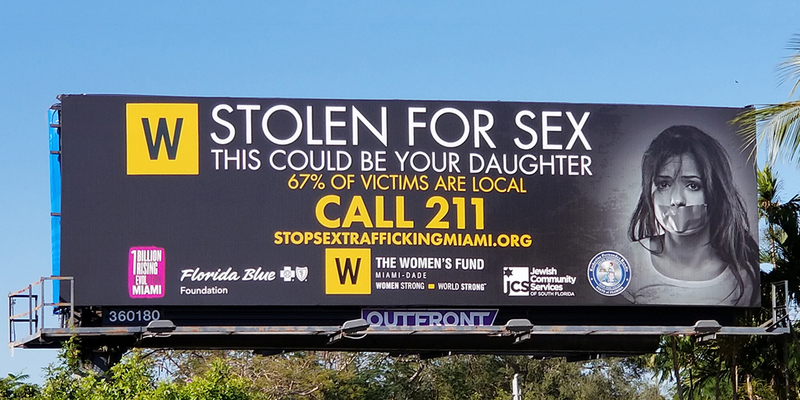 Fund a Billboard Today – Click Here! 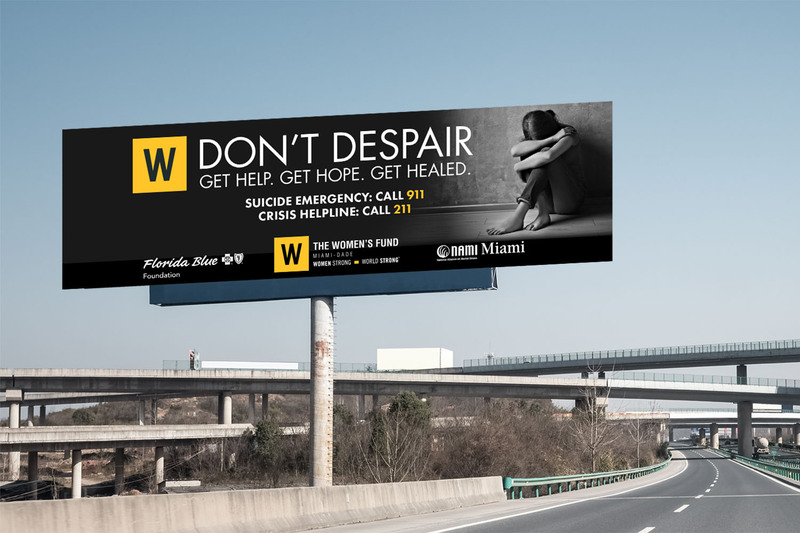 Please contact Kathy Andersen, Executive Director, directly at786-423-2191 or kathy@womensfundmiami.org if you would like to know more and discuss sponsorship opportunities for this campaign.